With a live video broadcast, the German kart manufacturer Mach1 presented their new chassis lineup for the coming season. The Mach1 FIA5 chassis scores by outstanding performance on all kinds of situations. Thanks to the optimized chassis construction they are easy to set up on different grip levels and weather conditions as well as shows the driver a even better feedback on setup changes. 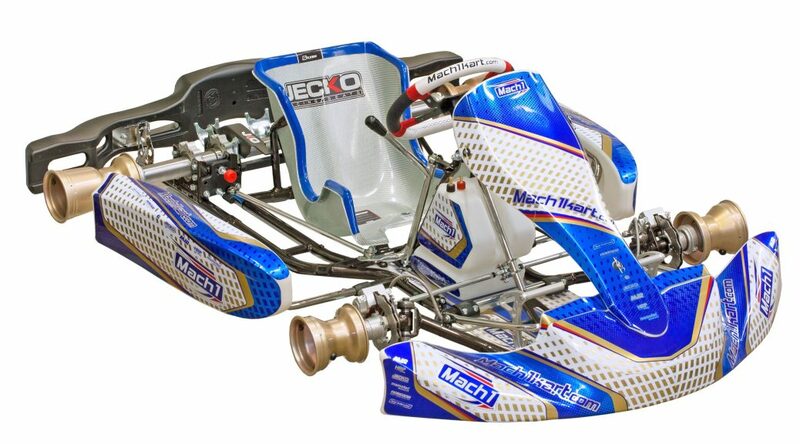 Suits perfectly for all junior and senior categories, like Rotax, X30, OK, OK-Junior, KZ2 and others. Further on, one other highlight was presented: The new self-adjusting brake system advanced brake balance and brake power in comparison to it’s predecessor significantly. Made from hightec aluminum within one piece, the brake system is build simple as well as strong. This leads into exceptional serviceability of the brake system. Further information and pictures can be found on the detail pages for the Mach1 FIA5 chassis.